On the 13th of July, our students of Project Management had the opportunity to experience a bit more of Design Thinking mindset. 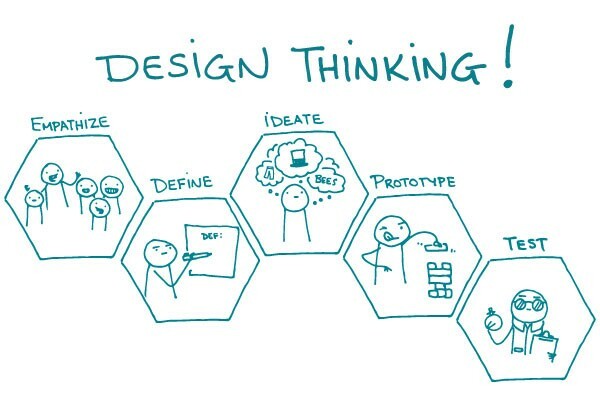 Design Thinking is a practical and human-centred approach that accelerates innovation by solving complex problems. This approach is based on three core values – EMPATHY, COLLABORATION and EXPERIMENTATION. Design Thinking Experience our students had, provided a common level of understanding on the Design Thinking principles, key tools & terminology. The program is based on the three main values of Design Thinking: empathy, collaboration and experimentation. Design Thinking provides you with human-centred lenses, allowing you to make better decisions under a new mindset. You learn to envision opportunities by asking the right (and sometimes the toughest) questions to understand real human needs. You learn to build to think and ultimately become an innovator that faces risks and learns from mistakes, leading you to real and impactful solutions. By testing and iterating solutions, you can deliver appropriate, actionable and tangible strategies that cover three lenses: desirable by people, financially viable and organisationally and technologically feasible. The solutions that emerge at the end of the Human-Centred Design process should hit the overlap of these three lenses, creating real innovation.